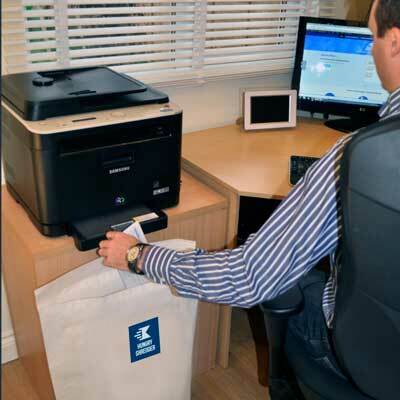 Many of our paper shredding services use our jumbo paper sacks. These jumbo sacks are suitable for home or office. 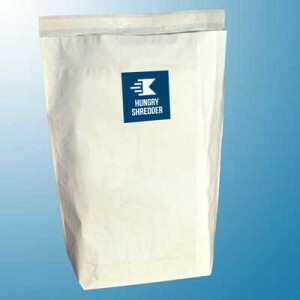 The sacks are manufactured to a high standard to withstand daily use. They are made with premium tough paper and have a ‘block bottom’ flat base which means that they are self-standing. Perfect for keeping next to your regular waste bin! Each of our paper shredding service sacks is self-sealing – when your sacks are full, you simply peel off the backing paper to reveal the permanent adhesive which secures the sacks in transit ready for confidential waste destruction. They are of course fully recyclable – when they reach our shredding service centres, they are shredded together with their contents. Find out more about our 3 simple steps to secure paper shredding here or click the button below to order.